The Montessori Child at Home: The Question of Allowance. We all know that one of the best ways to teach a child about money is with a weekly allowance. Knowing that is the easy part. What isn’t so easy is figuring out how much to give your child and for what the allowance should be used. This is a constant topic of discussion between parents and staff in our school. To research this post, I did what I always do – ordered every book I could find on the topic from the library and, while I waited, trolled websites. What I found on the internet was a snarl of conflicting and confusing advice. In fact, I found so many different ways allowance can be handled that I wondered if this post would ever get written. Then the books arrived and one in particular caught my eye. It was a small, unassuming book written by Gail Vaz-Oxlade (you may know her television show Till Debt Do Us Part). I had only to read the first chapter to know that what Ms. Vaz-Oxlade proposes in Money Smart Kids meshes beautifully with the Montessori philosophy. Now, before I get into a condensed version of the book, I’d like to share an activity that many Montessori schools use to introduce the values of coins to students. We call it the Money Game and the rule of thumb is that the students must have a good working knowledge of the decimal system before being introduced to the game. (There is a very good description of the game here.) We have found that playing this game will help a child understand how many coins to give when paying for something and how much –if any- change she will receive. Back to the book. The following is a very brief paraphrasing of Ms. Vaz-Oxlade’s advice on how a child’s allowance could be handled. However, I STRONGLY suggest you read a copy of her book to get the full version. She really knows what she’s talking about. You and your child need to sit down and discuss what the money will be used for. Without a plan, a child will just spend money on whatever she chooses and that will do nothing to teach her about money. Ms. Vaz-Oxlade suggests the money be divided into three parts: one part to be saved, one part to be shared (charity), and one part to be spent (this last can be broken down into mad money and money needed for specific expenses). Divide the money into 4 clear jars (clearly labeled Savings, Sharing, Planned Spending & Mad money) so that your child can really see how quickly the money can be spent or saved. This depends on what you can afford and for what you expect the child to pay. It also will depend on the child’s age because an older child will have more expenses than a younger one. Decide, with your child ,what day of the week is best? My boys wanted their allowance on Friday afternoon so that they had money for the weekend. Some children might want it on Sunday evening so they have money for the week. Whatever schedule is chosen, the adult MUST stick to it. Consistency counts. 5. How much in each jar? Ms. Vaz-Oxlade suggests 10% of the allowance go into the Savings jar. The Sharing jar gets whatever you decide (Vaz-Oxlade’s children did 5%) The amount to go into the Planned Spending jar depends on what you and your child have decided she will be purchasing (bus tickets, movies, books, gifts). As mentioned above, discuss this with your child and decide together how much is needed. Into the planned savings jar, goes a portion of money as savings toward something like University or a trip. If your child also wants to save for a smaller item (an Ipad, for example) a fifth jar can be set up. Anything left over is Mad Money. 6. Don't tie allowance to chores. Ms. Vaz-Oxlade and I agree here. Allowance should not be tied to chores and should be strings free. Also, it is perfectly fine for a child to get a part time job to supplement the allowance. Money for grades? How does that motivate the child internally? 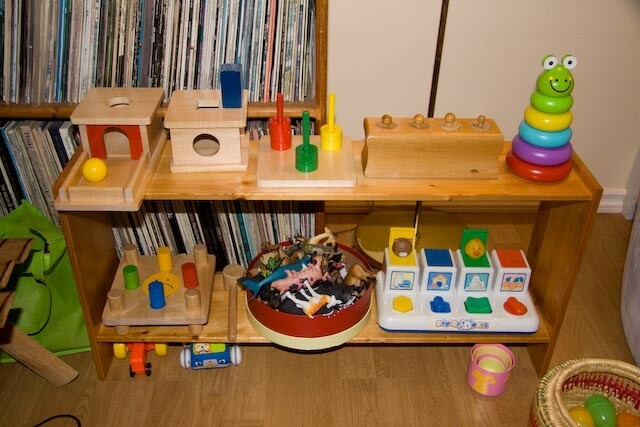 Besides, if your child is in an authentic Montessori …. there are no grades! Money for chores? Do you get paid for making the beds or cleaning up the kitchen? However, there are some ways that a child can make a bit more money without having to get a part-time job. There are jobs around the house that are not done on a regular basis (like washing the car) that you could pay your child to do. Ms. Vaz-Oxlade is very clear here that it should be treated like any other job and that the child can be fired if the job is not well done. 7. Keep your hand out of your pockets. If you keep bailing out your child or helping him buy things he should be saving for, he isn’t getting an accurate experience. There. That is my very-condensed version of the first chapter of Money Smart Kids. As mentioned above, I highly recommend this book to everyone and anyone who is wrestling with the questions surrounding allowance. I hope it helps. Great article! Introducing allowence is tough, especially when trying to figure out how much and when to give it. Thanks for the great post! 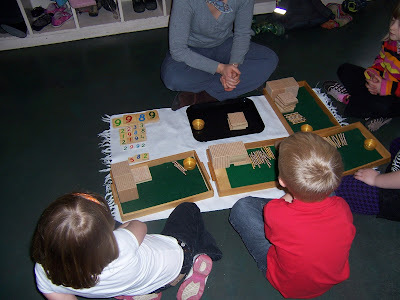 I shared this post on my montessori toy store facebook fan page. A bunch of my fans will love this info. Thanks! Glad you found it useful, Heidi. Thanks for sharing it with your FB page. This blog is dedicated to all parents who wish to incorporate the Montessori philosophy into their homes. The photographs are from families in our school who embrace Montessori and strive to help their children toward independence. Ø understanding that if you pull your child out in the middle of a three year level, they have NOT had a Montessori education. Taking a child out of a Montessori classroom to go into a public Kindergarten class takes away the child's leadership year. Ø understanding what your long-term goals are for your child and how those goals are going to be achieved. Ø asking yourself "Are my everyday practises helping my child grow into the kind of person I'd like them to be?" A Space to work in the kitchen. Putting on a coat...the Montessori way? The Montessori Child at Home by Cynthia Dyer is licensed under a Creative Commons Attribution-NonCommercial-NoDerivs 3.0 Unported License. I have been involved in Montessori for approximately 25 years as a parent, trained teacher, and an administrator. I have certification in both Primary and Elementary Montessori education, a certificate in Early Childhood Education, a degree in Child and Youth Care and a Masters of Educational Leadership. At school it seems I never have enough time to fully discuss/answer questions that are asked. This blog was started to develop some of those questions.